The Atlanta Science Festival is an annual, week long public celebration of local science and technology. Curious people of all ages explore the science and technology in the Georgia area and see how science is connected to all parts of our lives. We brought the Ocean Discovery Zone to the culminating event of the Festival- The Exploration Expo- which promotes science exploration, discovery and innovation with more than 100 interactive exhibits, hands-on experiments, mind blowing demos and performances! This year's event was held at Piedmont Park and had 20,000+ attendees! We had a blast sharing the science that ECOGIG is doing in the Gulf of Mexico, for the 3rd year in a row, as well as teaching visitors about the different ways scientists explore the oceans. 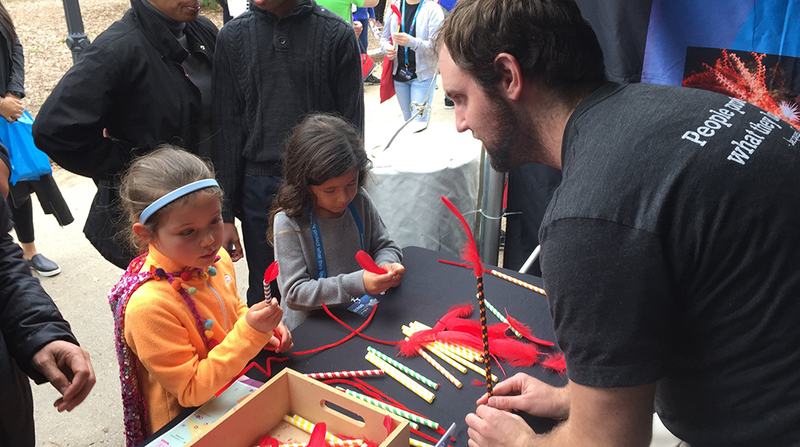 New this year was a deep sea tube worm craft, where visitors could build a tube worm puppet and learn how unique and interesting deep sea tube worms are. View more photos of the event here!